Have you ever noticed how many Opry’s there are? Myrtle Beach, Pigeon Forge & Nashville all have great Opry Shows. Let us help you package the Carolina Opry & Smoky Mountain Opry (less than 400 miles apart) – or – we the Grand Ole Opry with the Smoky Mountain Opry (are 225 miles apart). Twice the Music! Twice the Fun! By the way, if you want Three Step Opry – we can string them all together. Day 1 – Myrtle Beach, SC – Today, travel to Myrtle Beach, SC. On arrival, check into your beachfront hotel for a two night stay. Dinner is included tonight at the Chesapeake House, a Myrtle Beach family seafood tradition since 1971. Following dinner, enjoy The Carolina Opry Show at the Carolina Theatre. This music variety show features a cast of 36 of the nation’s top singers, dancers, comedians and musicians in its own 2200-seat show palace with state-of-the-art sound and lighting and three giant video screens. The show, which is continually updated with new music and comedy, is two hours of high energy entertainment that blends humor and dancing with everything from rock ‘n roll, Broadway and country to classic hits, pop melodies and gospel. 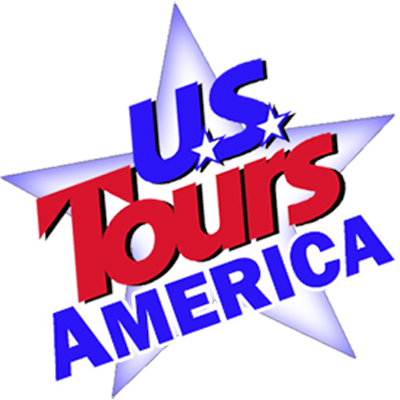 Day 2 – Grand Stand Touring – Alabama Theater – After breakfast this morning, enjoy a guided Myrtle Beach area tour. The 60 Miles of coastline comprising the beautiful Grand Strand boasts a colorful history. You will travel back in time to the days of the rice plantations and a few ghostly legends of the area. Learn how this area was developed while visiting several area landmarks. After your morning tour, enjoy some free time for shopping and lunch on your own. You may enjoy shopping at Broadway at the Beach complex, or Barefoot Landing or spending some time on the beach. We recommend The Original Benjamin’s Seafood for dinner and will include that cost, but we are willing to book any of the many great restaurants in Myrtle beach for dinner before your evening show. Your show tonight is at the Alabama Theater. Voted # 1 year after year with hot concert acts and huge variety show ONE is the show that features America’s favorite music Country, Broadway, Pop, Gospel, hilariously original Comedy and everything in between. Your two night stay in Nashville begins with dinner at the Back Stage Grill and is followed by the Grand Ole Opry where the brightest stars are within reach. Unforgettable moments happen at the Opry every week… Moments like the night Opry legend Little Jimmy Dickens scaled a kitchen ladder to invite Trace Adkins to become an Opry member. Or the night Carrie Underwood brought down the house with her rendition of the Tammy Wynette classic, “Stand By Your Man”, or the evening Vince Gill invited jazz vocalist Diana Krall to the stage for an impromptu duet. What might happen during your show? This afternoon you get an up-close look at the studio that has recorded music legends Roy Orbison, Dolly Parton, Elvis Presley; and more recently, Carrie Underwood, Martina McBride, and Marty Stuart. Inside the studio, you actually interact with a professional sound engineer in your very own recording session. Ending the day your dinner is at the Wildhorse Saloon Home to exhilarating live entertainment and free line dancing. This restaurant /nightclub is rooted deep in music traditions and you never know who you will see here, performing or dining on any given night. Day 3 – Pigeon Forge – Dolly Parton’s Stampede – This morning, whether you are pointing east or west your destination is Pigeon Forge, TN. On arrival you check into your local hotel for a two night stay. Day 4 – Dollywood – Smoky Mountain Opry – After breakfast, you will have a full day to enjoy the Dollywood Theme Park, nestled in the foothills of the Smoky Mountains. Enjoy live stage shows, the Dolly museum, a train ride, an American Eagle habitat, and for the very brave the Wild Eagle-America’s First Wing Coaster! Plus master craftsmen at work and artisans proudly continue the centuries-old tradition of hand-making crafts with daily demonstrations. Dinner tonight is included at either the Applewood Farmhouse or Grill. All meals are served with their signature Applewood Julep, Apple Fritters and Homemade Apple Butter. Following dinner, you will see the Smoky Mountain Opry, “America’s Ultimate Variety Show.” Showcasing the most talented collection of singers, dancers, comedians, magicians, jugglers and incredible aerialists, the Smoky Mountain Opry is an amazing show that is not to be missed! State of the art special effects including lasers, pyrotechnics, performers that fly overhead, giant video screens, concert quality lighting and sound and you have just a few of the many aspects that will take your breath away! From country to pop, comedy or Broadway the Smoky Mountain Opry has it all. Be sure to keep an eye out for the lion and tigers! That’s right, meet “Tsimba-Vaati” one of only 300 white lions in existence today! There is absolutely something for everyone and never a dull moment! Day 5 – Depart – After breakfast, depart for home.